Australia has been named among a handful of countries set to lead a global energy storage boom that will draw a massive $US1.2 trillion ($A1.66 trillion) in investment over the next 22 years, and slash the cost of batteries by half. That's the view offered by research company Bloomberg New Energy Finance (BNEF) in a new report, which predicts the global energy storage market will grow to a total capacity of 942GW over the next 22 years. The outlook reveals that most capacity additions installed before 2030 are likely to be industry-scale, with meter applications set to overtake large-scale projects at some point between 2030 and 2040. 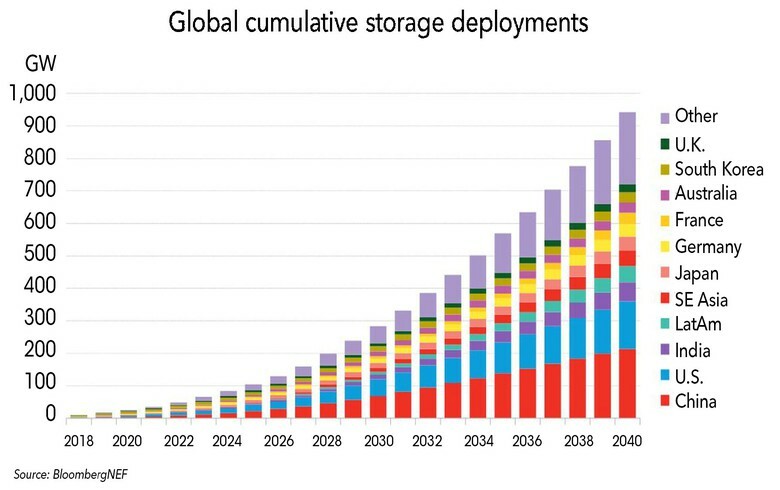 BNEF energy storage analyst, Yayoi Sekine, said: "We have become much more bullish about storage deployments since our last forecast a year ago". The report suggests behind-the-meter installations will increasingly be sited at business and industrial premises and at millions of residential properties to help balance grid demand, cut costs, store excess output and improve reliability. In geographical terms, there will be nine markets that will lead the global battery market, having two-thirds of the overall installed capacity by 2040. China, the US, India, Japan, Germany, France, Australia, South Korea and the United Kingdom are forecast to be the leading countries, representing two-thirds of global installed capacity by 2040. The market leader by 2020 will be South Korea, but China is anticipated to take its crown and lead throughout to 2040. Aggregating BTM energy storage could be a viable alternative to utility-scale for many applications but it will take years before regulatory frameworks in some countries fully allow this. 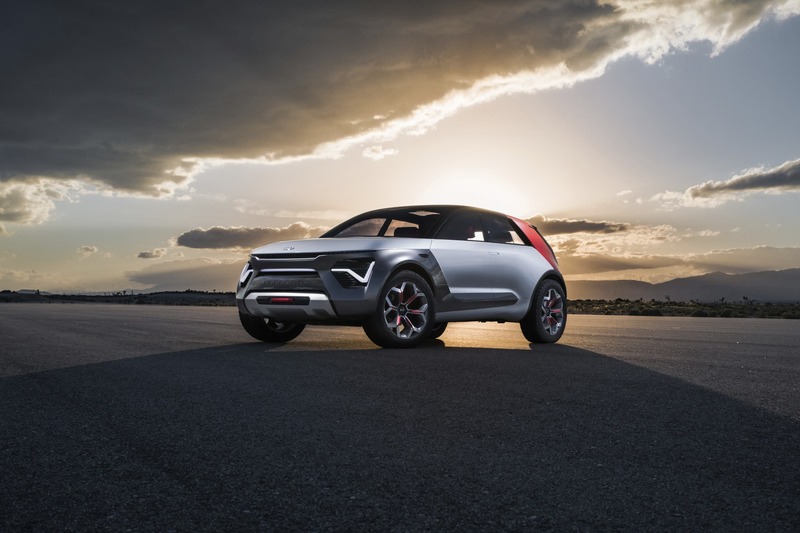 The research group estimates that the market will attract around United States dollars 1.2 trillion (EUR 1.05tr) in investments in the next 22 years, driven by the falling cost of batteries, both in the electric vehicle (EV) and electricity segments. BNEF even highlighted developing countries in Africa as seeing rapid growth in battery storage, with utilities recognising the value of combining solar, storage and diesel in remote regions as an alternative to extending the grid or just using fossil fuel-based gen-sets. It will be dwarfed by the electrical vehicle market, which will more materially impact the supply-demand balance and prices for metals such as lithium and cobalt.